After failing to convince Emma Watson that the best way to reinvent herself post-Harry Potter was with another fantasy film involving magic, destiny, and the audience’s preconceived notions, Disney has at last found its replacement Cinderella. 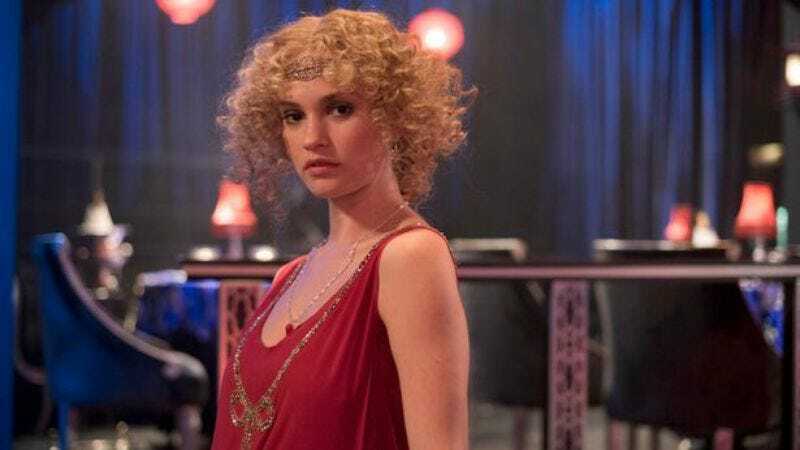 It’s Lily James, the British actress likely best known in the U.S. for her Downton Abbey role as rebellious cousin Rose, the wild child who rejects all ladylike propriety by carrying on affairs with married men and enjoying jazz music and smoking tobacco cigarettes. As previously reported, Kenneth Branagh will direct, Cate Blanchett will co-star as Cinderella's evil stepmother, and Alice In Wonderland once made a lot of money, so here’s this. Anyway, not surprisingly, many of the sources reporting the news are going with the metaphor of Disney finally finding “someone to wear the glass slipper,” suggesting that James bested scores of rejected, now bloodied and hobbled women who lopped off their own toes in an attempt to make it fit. Disney has yet to comment on these many women it has now left horribly disfigured.